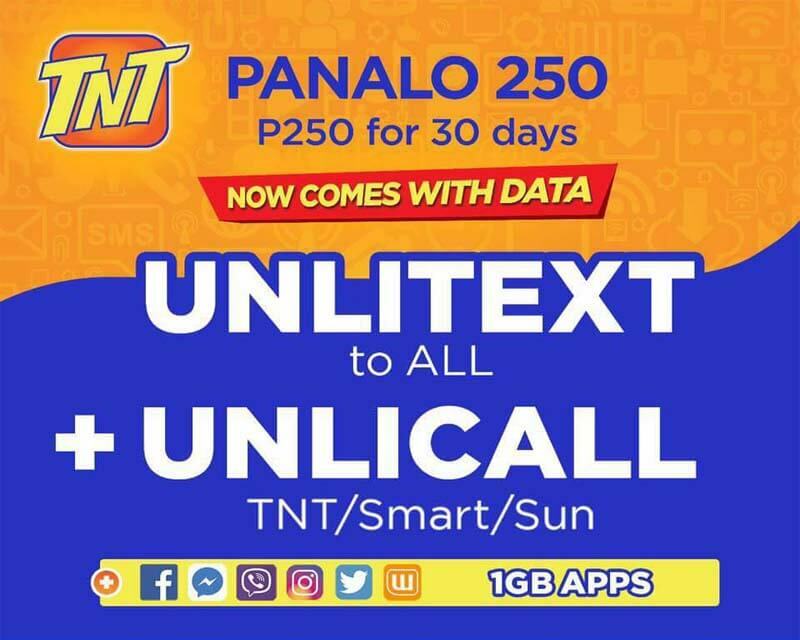 Talk N Text offers 30 days all in one combo promo that includes unlimited call to Smart/TNT/Sun, unli-texts to all networks and 1GB of data when you subscribe to Panalo 250. It fits with your personal and business communication needs, as it less hassle and only require you a one-time registration for 1 month. You can initiate and answer calls anytime you want within three Smart group of networks. For SMS texting, you do not need to worry what SIM card they are you using as it caters unlimited to all-net texts. You also have a data allocation that you can use to mobile chat apps like Facebook, Messenger, Viber, Twitter, Instagram and Wattpad. With your TNT prepaid SIM, you need to reload your account with 250.00 pesos then use the code or keyword provided for your reference. Just text P250 then send to 4545. Also available Panalo Data 30 (2 days validity) and PDATA60 (5 days) promo. Wait for the SMS notification from TNT before you start using the promo. To use the mobile data, you must have pre-installed the apps on your smartphone. If not, you can subscribe to any on the list of TNT Internet Promo to download and install the mentioned applications on Play Store or iOS App Store.